Mr. Chewy to the Rescue! With two kids, two dogs, two working parents, lots of activities and a home to juggle, I was happy to have the opportunity to review Mr. Chewy, an online pet store. Even before ordering, I loved the fact that the company has a referral program that will donate $10.00 to a partner organization. Petey and Marina both have health issues so I’m picky about the foods and treats I give them. Even if I wasn’t picky, Marina is picky enough for all of us. I was happy to see that Mr. Chewy carries the brands we use – and even has treats that my local pet store doesn’t. I was given a promo good for $50 in merchandise and the products I selected totaled $49.94. Orders over $49 include free shipping, which is a definite plus. I placed the order on Wednesday March 21st at 12:29 in the morning (all that juggling makes me a bit of a night owl). I received my order confirmation at 12:33 a.m., and by 10:58 in the morning, I had a shipping confirmation for all items. I’m in California and my order arrived on Tuesday March 27th. Everything ordered was neatly packaged in the box shown above. 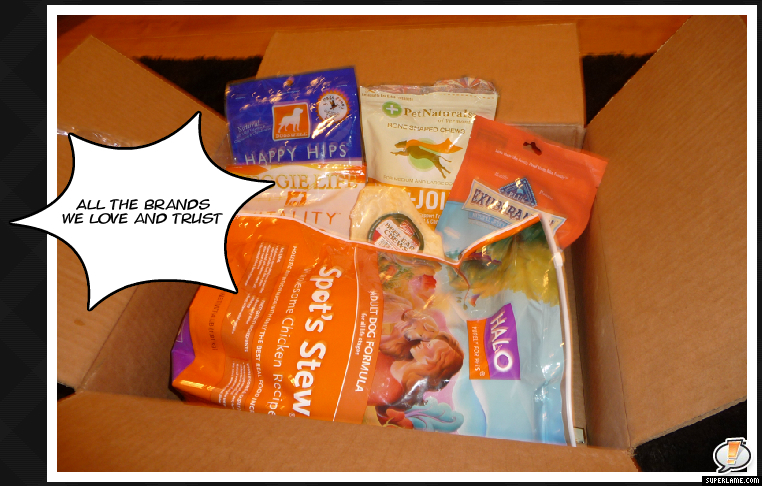 True to their tagline, Mr chewy was responsible for delivering pet happiness in our home! If you’d like to experience the happiness – use promo code GARR2293 and receive 10% off your first order AND Mr. Chewy will donate $10. to one of their partner pet charities (you choose). Disclosure: I received a promo code worth $50. in merchandise at www.mrchewy.com This review is an unbiased account of my exerience in ordering from Mr. Chewy. 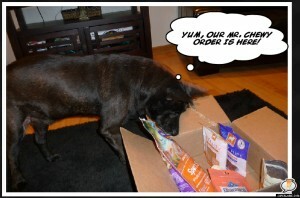 I received no other compensation for this review and am not an affiliate of Mr. Chewy.